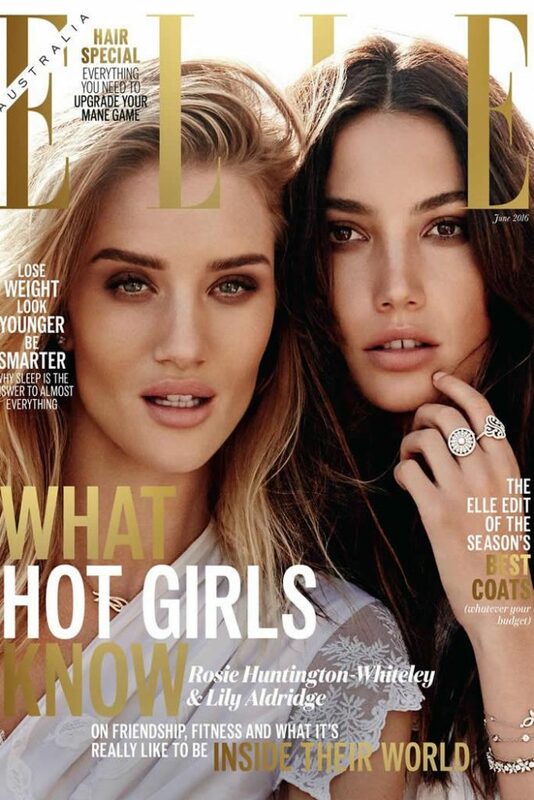 Put Rosie Huntington-Whiteley and Lily Aldridge in front of the camera together and you get instant magic. Put Rosie Huntington Whiteley and Lily Aldridge in front of the camera together and you get instant magic. The duo posed on the cover of Elle Australia's Best Friend issue in support of Pink Hope, a health organization focused on preventative cancer. Rosie and Lily glowed in lace dresses and later slipped into breezy separates for photos at the Villa de Leon in Malibu, CA. While we're used to seeing Rosie and Lily strutting the runway in heels, their latest set of stills show the two barefoot and relaxed. The BFFs have a natural ease with each other, proving that their chemistry is palpable on and off camera. See their stunning photos ahead, and try not to feel too envious of this duo's tight-knit friendship or their killer looks.